So there was a discussion on Facebook yesterday about some fabulous photographs by a man named Timothy O’Sullivan that were published last year on the website of The Daily Mail, an English newspaper. 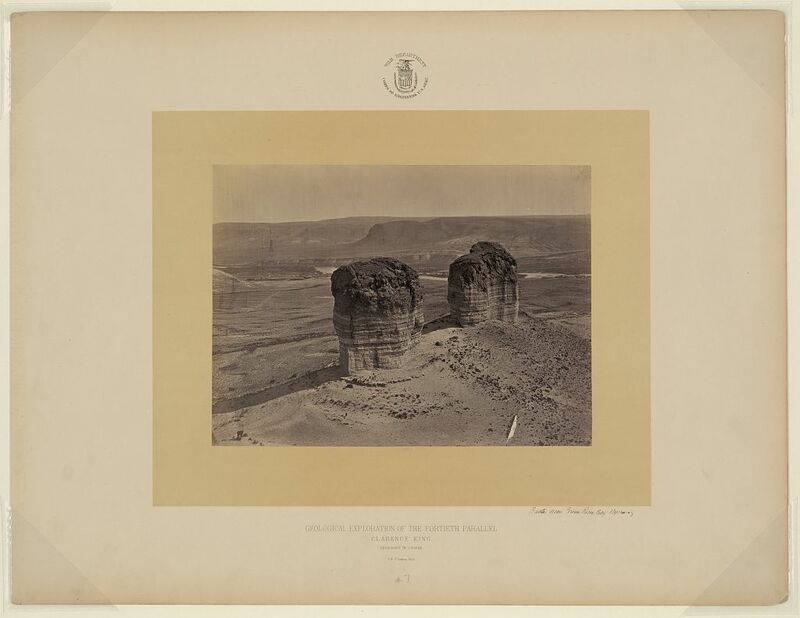 The article containing the photos, entitled “How the Wild West REALLY looked,”1 is beautifully illustrated with 34 photographs taken by O’Sullivan while accompanying Government expeditions — as well as by a photo of O’Sullivan himself. They are all absolutely right: these are stunning images. And they may be even better for us as genealogists than the folks in that thread knew. Because there is one thing that’s just plain flat out totally wrong about the images as they appeared in The Daily Mail. And all The Legal Genealogist can say to that is… no, they’re not. Oh, they might have been… once… maybe. That would depend on exactly what law was in effect at the time they were taken — the act of 18316 or the act of 18707 or, perhaps, even the act of 19098 as it related to O’Sullivan’s earlier work — and on what O’Sullivan did (or, more likely, didn’t) do to register his copyright. And hundreds of them are available online. Many more are available from the Library of Congress’ website, through its Prints and Photographs Division. There are, give or take a couple, somewhere around 1,100 images online at the Library of Congress website. Gorgeous landscapes, including all the images The Daily Mail published. And many Civil War photographs as well. “A wonderful historical treasure”? Absolutely. And free for us to use in our genealogies. 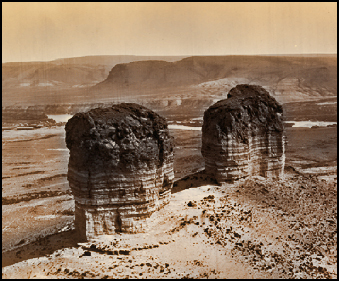 Image: Timothy O’Sullivan, “Buttes near Green River City, Wyoming” (c1872); digital image, Prints and Photographs Division, Library of Congress (http://www.loc.gov : accessed 15 Aug 2013). Enjoyed reading about Timothy O’Sullivan’s photos. I was reminded of a program on Book TV about “The Civil War in Color: A Photographic Reenactment of the War Between the States” by John Guntzelman. Mr. Guntzelman obtained public-domain photos for his book from the Library of Congress – don’t know if any were made by O’Sullivan. He cleaned up the images and colorized them. Disclaimer: I have no connection to Mr. Guntzelman nor will I profit from sales of this book. That’s a nice program to know about, Kat. Thanks for posting it. Judy — Can you bequeath your copyright, effectively extending the legal copyright term ‘limit’? Sorry what does this mean for commercial use of these images then? Reprint and sale or use on a commercial website? Images that are in the public domain can be used in any legal fashion. You cannot copyright them yourself, because you’re not the creator. But you can use them.